The modern “Mardukite” tradition was publicly launched on Summer Solstice 2008—it would take nearly another year before an active group of participants of this brand of “New Thought” and “Mesopotamian Neopaganism” could be formally established, taking place near the Spring 2009 Akiti-Akitu period. 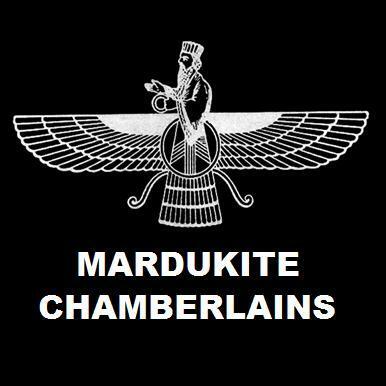 And the formal inception of the “Mardukite Chamberlains” and its tradition was to coincide with a synchronized global meditation ritual working in dedication to the post-Sumerian Babylonian Anunnaki paradigm—this also became the first official established esoteric organization overtly dedicated to MARDUK—the Anunnaki patron god of Babylon and the first systemology impressed on the human condition and civilization since its former upgrade by the Anunnaki scientist ENKI. When the Mardukites conducted the first Beltane Gate ritual a decade ago, they did not possess the same literary archives maintained today—and by that we mean specifically the “Mardukite Core” of research and experimental development that combined the academic and esoteric aspects of the tradition into a functional modern-day paradigm. This “new” wide-angle paradigm—although inspired by the Ancient Mystery School of Babylon—also includes many elements found in the most ancient and coveted forgotten reserves of the “New Thought” movement, “Druidism” and “Rosicrucianism”—and many volumes have been dedicated to the underground connection between these as well, off-shoots of the main lifeline that have sprung up throughout the course of time and expanding all around the globe…All-as-One. With an original lack of specific widespread criteria, many chose to observe the “2009 Beltane Gate” individually by practicing intention-based “rites,” “meditations” or “ceremonial expressions” of their own design—dancers danced, artists created, ceremonialists…ceremonied(? )… but the most important part of it all…the world was dedicated and focused together in a combined effort to bring a higher level of realization to global consciousness… and it was quite successful. At the Mardukite Offices in 2009, the original group of esoteric practitioners still heavily relied on the Simon “Necronomicon” structure for their practices—being the primary “occult” contribution of the Babylonian spiritual-gate system prior to the more complete execution developed over the past decade by the Mardukite Research Organization and Council of Nabu-Tutu, a select band of long-term and experienced alumni from within this brand of work. To deliver power and control of the system back to MARDUK, the Seal of Marduk was placed within Gate of Nergal—an esoteric facet that many did not catch or grasp, thinking that the seal and gate were of the same degree…they were not…and this was intentional. Those using the “Simon” motif for their 2019 observations should correctly place the Seal of Marduk within the Gate of Marduk for this operation—and that is, of course, assuming you are using that methodology for your work. Most modern Mardukites have come to better relay their work specifically from the “Mardukite Core” of materials developed independently of other modern revival works and fanciful notions. Many folks who previously have accessed the materials selected for this expanded edition have chosen to acquire a souvenir copy of the new version in time for use this April 30—when hundreds, or perhaps thousands, of people all over the world are using these rites remotely from their own locations to join energies for the reestablishment of the Anunnaki paradigm in this “New Age” and toward the permanent and physical infrastructure of a New Babylon to ensure the continued growth and success of the modern “Mardukite” efforts permanently into the future! Commemorating the 10th Anniversary of the modern “Mardukite” inception, Director of the “Mardukite Research Organization”—Joshua Free—is taking great strides to reintroduce a new generation of “NexGen” Truth Seekers to the revolutionary New Thought developments released by the “Mardukite Truth Seeker Press” to encourage a modern revival of ancient Mesopotamian religion—using the specific underground tradition of the “Mardukite” Babylonians as a base… such has never been done before on the planet for thousands of years! Central to efforts for reviving the ancient Mesopotamian traditions and Mardukite Babylonian (including Chaldean and Assyrian) systems of esoteric magic, astronomy and philosophy—the inception of this modern “Mardukite” mystical, spiritual and archaeological revival first emphasizes exploration of the Mesopotamian Mysteries as collected within the once underground source book, developed by the “Mardukite Chamberlains” during their first active year and now revised, re-edited and revisited for a 10th Anniversary Collector’s Edition Hardcover as: NECRONOMICON: THE ANUNNAKI BIBLE edited by Joshua Free. 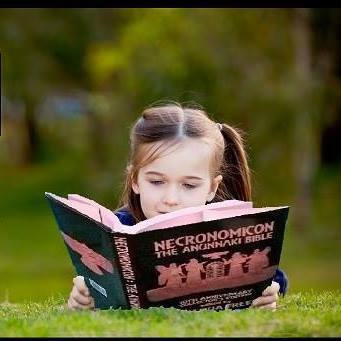 NECRONOMICON: THE ANUNNAKI BIBLE is a collected works anthology comprised of seven discourses originally released separately to the underground in 2009 (and 2010). It is an unparalleled unequaled modern collection of the most ancient writings on the planet—brought together with the explicit purpose of being used, as relevant today as the day the cuneiform clay tablets were first formed. The book has been prepared for the “every man,” without the need for previous experience or esoteric education—although someone with some will undoubtedly find that it advances their prior gleanings greatly. Those supporters who have taken a step back to see the wide-angle “big picture” source knowledge that this provides and how relevant it is to global history, traditions and civic evolution have found that this paradigm or methodology is superior to all alternatives available to us today. Many people are familiar with—or are traditionally taught—a limited view of human history, mostly restricted to a classical period of Greeks and Romans, and maybe even a little nod in the direction of the Egyptians. There is little or no attention given to the “less-accessible” and “less understood” sources of these later developments in human civilization—sources that extend back to Mesopotamia, the Anunnaki and the Mardukite Babylonians. Personal feelings and misrepresented politics regarding areas now known as the “Middle East” really do not help matters. Not to mention that current populations in these areas do not observe these ancient traditions either. So, there really was no representation for this path in the “New Age” or any decent source material for an authentic resurgent revival before the Year-1 2009 work of the modern “Mardukite Chamberlains” that is culminated as NECRONOMICON: THE ANUNNAKI BIBLE edited by Joshua Free. Accept no imitations or substitutions… This is the book you want to get you on your way!